Cartoon Village Cardboard Cutout Standup Prop - Dino Rentos Studios, INC. 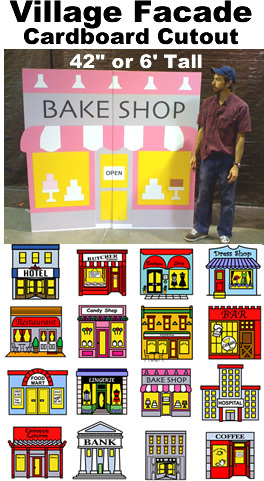 This Cartoon Village Cardboard Cutout Standup Prop is great for any pageant or dance production! Price is for one building of your choice -- select below. Call for Multiple Piece Discount (5 Units or More).